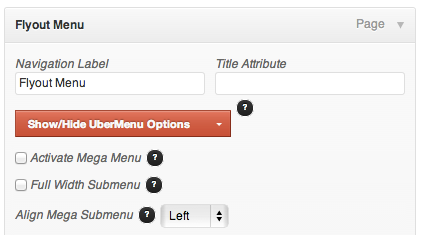 Even in an UberMenu, you can still create a normal flyout menu. Just make sure that Activate Mega Menu is NOT checked on the top level menu item. Add items as usual. Note that if the top level item is not a Mega Menu, the Mega Menu options are non-applicable, except for disabling text and links, and Align to Right Edge.